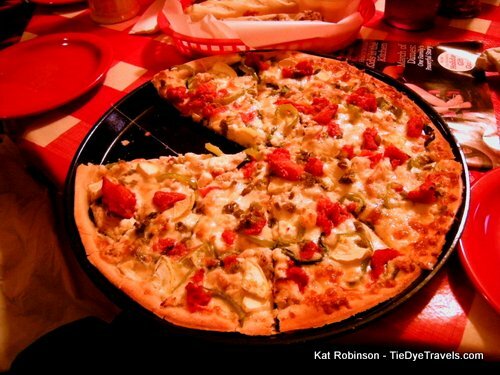 Spicy Pies, Thin Crust at U.S. Pizza Company Around Arkansas. Want to get warm? US Pizza Company features several pies that will heat you up from the inside. - a thin crust pie topped with grilled chicken, spinach, jalapeño and Anaheim peppers, spicy tomatoes, yellow squash, garlic, olive oil, alfredo sauce, fresh mozzarella, Parmesan, and feta and pepper jack cheeses, There's also the extremely hot Trey's Chloroplast Blast. 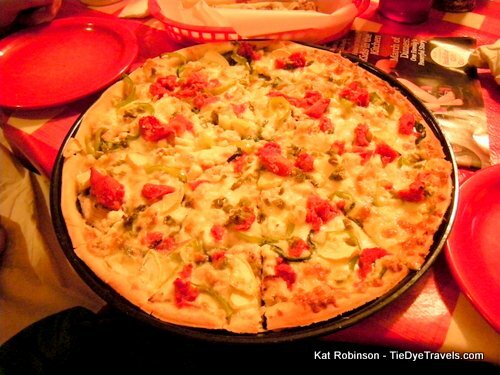 Pies are on a handthrown thin crust, with plenty of options -- including lots of different specialty pizzas and one of the more complete listings of available toppings in Central Arkansas -- including zucchini, yellow squash, spinach, purple onions, and Feta cheese. But if you're looking for a real bargain, go for the Stuffy Stix. They come in full orders (4) or half orders (2). Their breadsticks are split lengthwise and stuffed with cheese and your choice of topping. I tend to go for the meatball -- which is served up with marinara for dipping. 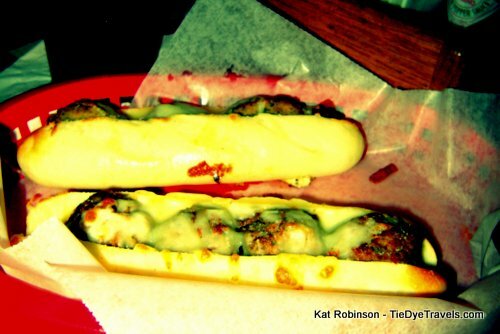 All the joys of a meatball sandwich, without extemporaneous dressings or veggies. This successful statewide chain was founded in 1972 by Judy Waller, who still owns the company today. 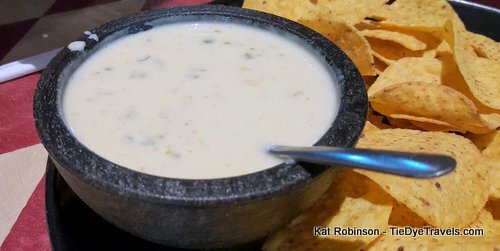 The cheese dip at the restaurant, a white cheese emulsion with plenty of green spices, is named for her. U.S. Pizza Company now has locations in Conway, Fayetteville, Maumelle, as well as several locations in Little Rock. Check out the company website for more information. When Gangsters Ruled the Spa.